TouchCopy is able to generate Reports based on your iPod content and copy history to make it easier for you to select which items need to be copied and which do not. Generates a list of songs and video that have not been copied to your computer or iTunes. If songs are selected from this list and then copied, those songs are automatically removed from this report. Generates a list of songs that have either been copied to your computer or transferred into iTunes. A list of music which is present on your iPod, iPad, or iPhone, which is not yet present in your iTunes Library. 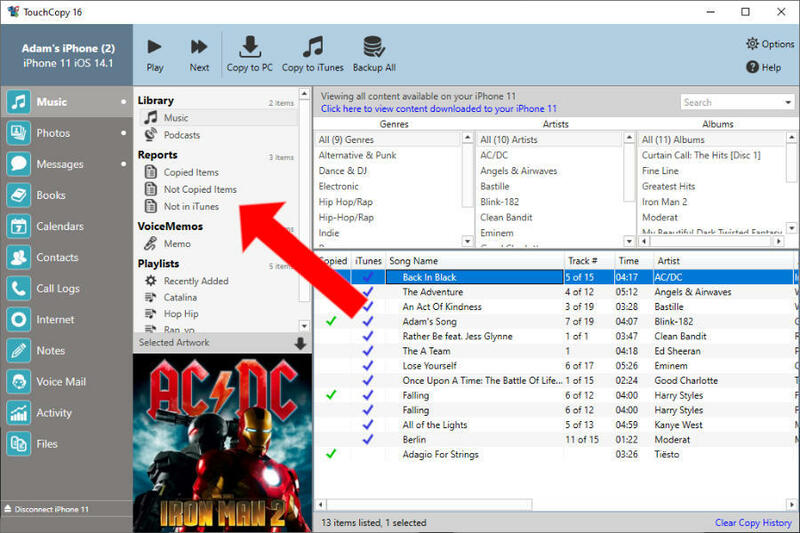 To remove all reports from your iPod, right-click any track in the music section of TouchCopy, then click the "Clear History" option.